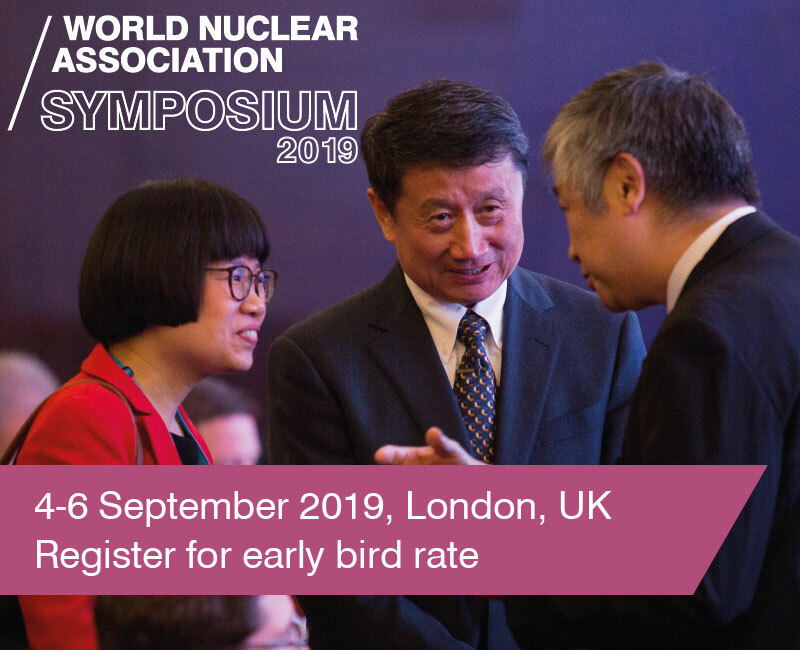 Large infrastructure projects require a range of key features and sufficient risk management to attract financing, but a new nuclear project has to go further still to draw in potential backers, delegates at a recent conference in London heard. New nuclear programs similarly need to align with associated infrastructure, such as grid and transport networks, as well as develop a supply chain, receive planning consents and engage with national and local government, along with the businesses, education establishments and communities in the area the project is based. They also need to have their reactor design scrutinised by national regulators, a process that in the UK can take as long as five years. In addition, the project needs to have a fuel supply, operations, maintenance and decommissioning strategy, looking as much as 80 years ahead. Representatives of the three planned UK projects - led by EDF Energy, Horizon Nuclear Power and NuGeneration - told Marketforce's Nuclear New Build Forum on 20 April that, although they are each taking a different approach to finance, they all have the same focus - to demonstrate their plans are "investible". Other infrastructure experts, from AECOM, National Grid and Crossrail, offered additional insight. The three projects are not competing to justify the benefits they bring to the UK electricity sector - since the start of the decade 26 of the country's power stations have closed and together they accounted for around 20% of its electricity generation capacity. 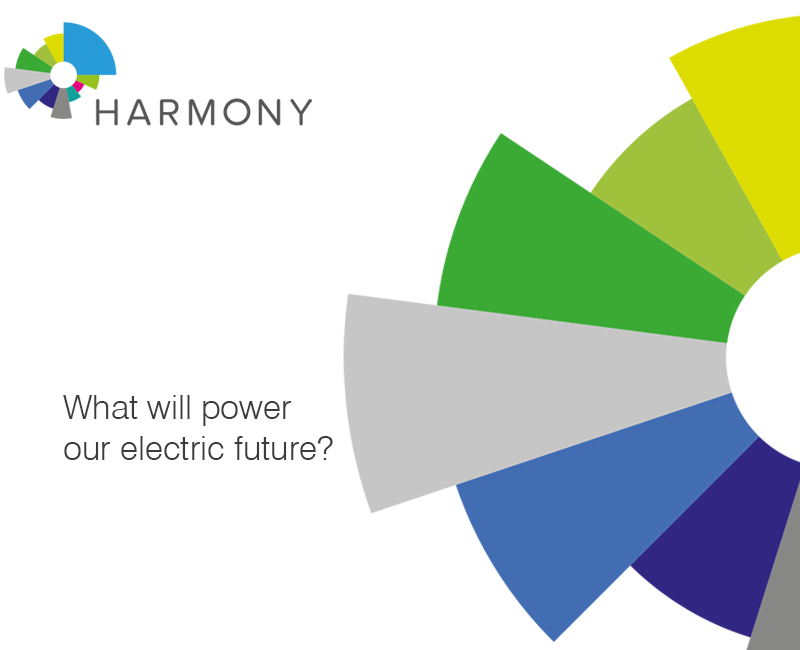 By the end of 2030, a further 35% of that capacity is likely to have gone. The need therefore for new and reliable low-carbon power is even more important than ever here in the UK, delegates at the conference heard. Where the new build consortia are competing, potentially, is for additional investors to carry their respective projects beyond a final investment decision (FID). 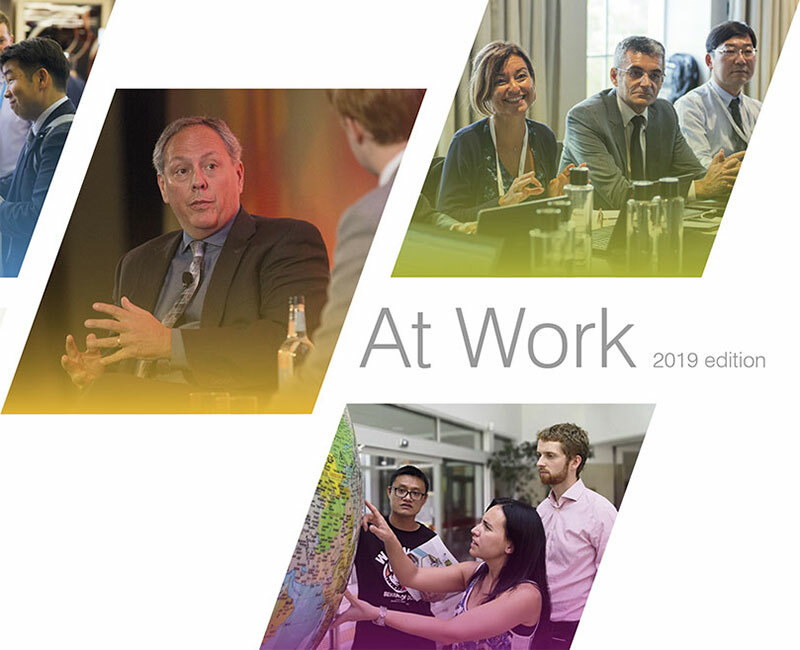 "It takes millions to establish one of these programs and billions to deliver them," said Jay Brister, vice president of business development at AECOM, a US-based construction, engineering and professional services firm. "Delivery of a new nuclear project involves a complex set of high risk, high impact activities over ten to 15 years with huge financial implications. Risk and risk mitigation is a key component of financing, whether it's political, geographical or completion risk. Coming up with the right financing structure is one of the biggest challenges that you face in one of these programs." Brister added that implementing a successful nuclear power program requires the positive support of international and bilateral agreements; a stable, independent and reliable nuclear regulator; technical skills and infrastructure development; a proven delivery program and partners; positive electricity market regulation; a decommissioning strategy; as well as fuel cycle and back end management. Above all, the role of government is the key to success, he said. EDF Energy has state backing for its Hinkley Point C (HPC) project in Somerset - the majority owner of its parent company, EDF Group, is the French government, and its Chinese partner is state-owned. Consisting of two European Pressurised Reactors (EPRs), HPC will be the first new nuclear power station to be built in the UK in almost 20 years and will provide about 7% of the country's electricity. Under a deal agreed last October, China General Nuclear (CGN) will take a 33.5% stake in EDF Energy's £18 billion ($28 billion) project to construct HPC. In addition, the two companies will develop projects to build new plants at Sizewell in Suffolk and Bradwell in Essex, the latter using Chinese reactor technology. EDF's share in the project stands at 66.5%, but the company said it intends to offer other investors stakes in the project whilst retaining at least a 50% share itself. Humphrey Cadoux-Hudson, managing director of nuclear new build at EDF Energy, told delegates: "We now have the right framework in place, developed and delivered under a sequence of governments to make this investment possible. That's why EDF Group and our Chinese partner CGN, together with the UK and French governments, are absolutely committed to this project going ahead." Since 2012 EDF Energy has received its nuclear site licence and generic design assessment (GDA) for the UK EPR design, as well as planning permission from the Secretary of State, following a year-long examination by the Planning Inspectorate. In 2013, it reached agreement with the UK government on the key terms of the proposed contract-for-difference (CfD) and with Infrastructure UK it guaranteed the project debt. A year later, following examination by the European Commission, it received state aid approval for these agreements, which include the price, contract length, inflation indexation and fiscal risk protection. EDF Energy has so far spent £2.4 billion on the project, but has yet to make a FID, which had been expected by the end of last year. The group's chairman and CEO, Jean-Bernard Lévy, said in March that EDF is negotiating with the French government to obtain further financial support for HPC. Cadoux-Hudson told the conference: "Investment of this scale - £18 billion through construction to operation of Hinkley Point C - clearly needs to be made with careful thought." Difficult wholesale power market conditions, plus the wide range of investments that EDF is looking to make to deliver low-carbon power for its customers, mean a FID on Hinkley requires time, he said. But the company is confident, he said, that a FID will be taken soon and that plans for commissioning of the first reactor in 2025 will go ahead. Referring to schedule and cost overruns of the EPRs under construction at Olkiluoto and Flamanville, Cadoux-Hudson said, "The challenges of the EPR design in Finland and France relate to the need to put in place the highest standards of project management, to integrate the supply chain into the design process and to ensure that we will only start in earnest when we are sure that we won't have to stop. It's an easy thing to say but requires an enormous amount of planning." EDF is "seeing great progress" at the two EPRs under construction by CGN in Taishan in China, where testing is already under way on the primary circuit, with the first unit expected to be in operation next year. "The experience of construction in Taishan has helped us to prepare even better for construction at Hinkley," he said. "Above all the need for an integrated robust schedule and cost estimates and a stable design from the start are essential." EDF Energy has spent more than 4.7 million hours on engineering to finalise the reference design for the UK EPR, and it is working through construction via 4-D digital models of the plant covering the site layout, through the arrangements of the internals of the building, down to the detail of individual reinforcement bars, he said. Major preparation work on the site itself has been completed. Nigel Knee, EDF Energy's head of nuclear policy, said that HPC is "already an investible project". He told World Nuclear News: "How have we got there? It's about having political support, regulatory and political stability. Then, when you look at the individual parts of the project, it's about being able to present to potential investors and to say that you have correctly identified the risks and allocated them to the parties that are best able to take them. We're prepared to take on the construction risk. For revenue risk we needed some support from the government in order to secure the contract-for-difference to provide a measure of revenue certainty over a 35-year period. Then you put together the business case which leads to a competition in the world market for capital. You need to be able to demonstrate that investing in the project will bring a competitive rate of return." The CfD for the Hinkley project "is not a guaranteed income stream", he stressed. “We still need to sell all the power in the market. We may well be paying back if fossil fuel prices are very low." Carl Devlin, program director at Horizon Nuclear Power, said bringing a technology that is tried and tested is a "fundamental part of our proposition". The advanced boiling water reactor (ABWR) has been built and operated four times in Japan, he said, and "sitting behind that is a long legacy of nuclear power projects inside Hitachi". Horizon is "working to ensure the transfer of expertise from Japan into the UK to support our schedule as well as delivering it on cost," he said. Established in 2009 and acquired by Hitachi in November 2012, Horizon aims to provide at least 5.4 GWe of new capacity across two sites by deploying Hitachi-GE UK ABWRs. It expects the first unit at Wylfa to be operating in the first half of the 2020s. The project represents a £20 billion investment in the UK energy sector. The project is to be carried out as a single engineering, procurement and construction (EPC) contract joint venture. "We will be bringing on a management partner and a project delivery partner," Devlin said. "Our number one priority is to make this an investible project." Devlin, who joined Horizon last year, has worked on industrial projects in other sectors, including Heathrow's Terminal 5 and the Channel Tunnel Rail Link. For such large-scale projects to be a successful investment, he said, "you have to make sure all the components are clear and ready before you start. Changes are expensive and that's when you get into cost overruns." He added: "It's crucial that we create and develop a project that is investible and get the commercial and financial arrangements right to ensure it attracts the additional investment that will be required. We look forward to making real and demonstrable progress in our discussions with Her Majesty's Government so that we can complete on track with the current schedule." The project will require a CfD, a "Treasury guarantee", future power sales and additional investors, he said. Completing the GDA process and obtaining all the planning and environmental consents and permits that are required are "fundamental enablers for giving confidence to investors that we are able to achieve the project", he said. Horizon is working towards making its site licence application and it has a number of work streams on site, he added. The company expects to have all consents and permits required for the project by mid-2018 and to make a FID in early 2019. Recent progress with the project includes the second round of public consultation in North Wales; opening a new Gloucester headquarters and expanding its Anglesey site office; launching graduate and apprenticeship schemes; appointing Lloyds Register as independent third party inspection agents; and establishing Hitachi Nuclear Energy Europe. Like Horizon, NuGen will deliver its project by securing finance from "internal and external sources". That means working with its shareholders and relevant governmental finance sources to get to a FID and delivering debt and equity into the structure. They aim to deliver their project within the existing policy framework which provides a CfD and access to UK government guarantees. A joint venture between Toshiba and Engie, NuGen plans to build a nuclear power plant of up to 3.8 GWe gross capacity at Moorside in West Cumbria. 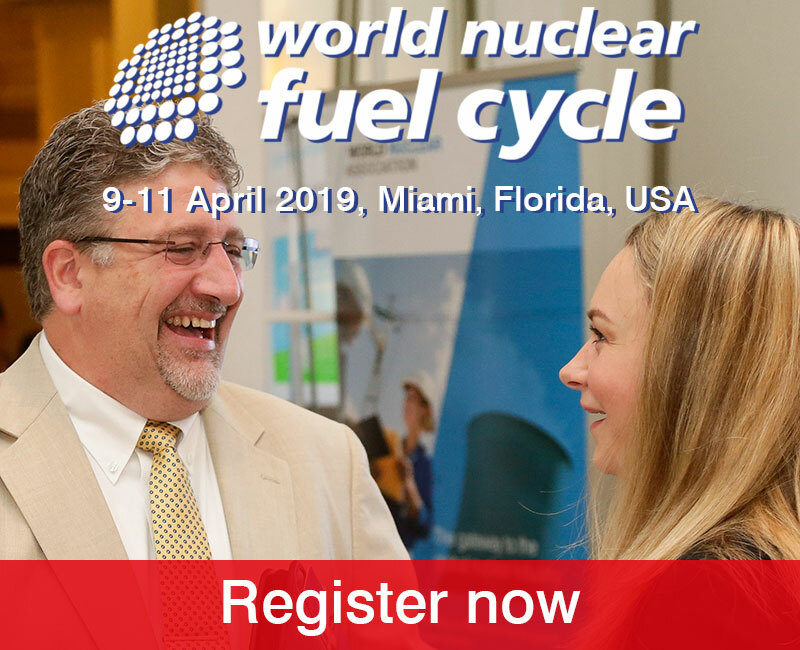 NuGen says it combines the strengths of its two globally-recognised parent companies, with proven operating and engineering experience, and AP1000 nuclear reactor technology provided by Westinghouse Electric Company, a group company of Toshiba. Alastair Evans, head of government affairs at NuGen, told World Nuclear News, "NuGen is confident of timescale deliveries. Westinghouse is delivering AP1000s in China and the US and this gives certainty to the market what we are aiming to deliver at our Moorside project." Sanmen 1 in China's Zhejiang province is expected to be the first Westinghouse AP1000 to begin operating. Four AP1000 reactors are being built in the USA - two each at Vogtle and Summer - while three AP1000s are also proposed for the Moorside site. World Nuclear News reported in March that the integrated head package had been installed on top of the reactor pressure vessel of Sanmen 1 and that the unit is expected to start operations in September. Both Toshiba and Engie have said they are fully committed to the project all the way up to FID, Evans said, which NuGen expects to make by the end of 2018. Managed by the Office for Nuclear Regulation (ONR) and the Environment Agency, the GDA process has its origins in the UK government's White Paper on Nuclear Power of January 2008. Alan McGoff, policy lead for nuclear new build at the Environment Agency, told delegates it could not be predicted then that GDA "would be quite the success or attract quite the overseas interest which it has". McGoff noted that GDA is a voluntary process - "policy rather than law" - but is a "government expectation" that is "certainly recognised as a significant contribution" to a project. "Good regulation is key to good investment decisions - it's able to identify the key issues associated with any design and to resolve them before you start construction; because once you start building that's when the big money is going in," he said. "It can have an early influence and it's much easier to change a design before you've poured concrete." The ultimate positive outcome of the GDA process is issuance of a Design Acceptance Confirmation (DAC) from the ONR and a Statements of Design Acceptability (SoDA) from the Environment Agency. Before this, an interim DAC and an interim SoDA are issued. "One of Hitachi's key objectives is to avoid that step," McDoff said. They want to move straight to DAC and SoDA, not as happened with the UK EPR or the AP1000." The UK EPR design received a DAC and SoDA in December 2012. The UK ABWR began the GDA process in January 2014 and "remains on target for completion", McDoff said, at the end of 2017. The AP1000 reached the iDAC and iSoDA stage in Dec 2011, but then Westinghouse paused the process until its owner Toshiba bought a stake in NuGen. It restarted the process in January 2015. The indicative completion date for the AP1000 has been revised to March 2017, McGoff said. The ONR and Environment Agency are "principles-based regulators", he said, and do not follow a "rule ticking approach". "Regulation by principles is very powerful regulation," he said. "It requires the vendor to understand what it is they're trying to achieve and to prove to themselves that that can be achieved before they demonstrate it to us. It makes it a much more intelligent level of regulation." And before a nuclear site licence is granted, the ONR "needs to be satisfied that the applicant's choice of site is suitable, that it understands the hazards and risks of its activities that it proposes to carry out, and there is a suitable schedule of safety submissions moving through to the pre-construction safety case," he said. Before environmental permits would be issued, "we must be satisfied that the site specific proposals are acceptable and meet best available techniques required," he said. Investment decisions can and do affect the regulators in terms of allocation of resources, he said. "It's worth reflecting that the FID decision [by EDF] isn't just about Hinkley Point C. It's about four significant packages of work associated with the construction of that plant, the development of Sizewell C and Bradwell B, and the GDA for the Hualong One - the Chinese designed reactor," he said. The regulators are also working with the Department of Energy and Climate Change on a future small modular reactor program. "Both the ONR and the Environment Agency are fully resourced for the work we're doing now," he said. "Within the Environment Agency, we've always treated new build as an extremely high priority. However, going forward, it is going to become more difficult. We are making moves to grow our own talent and also looking at ways to train regulators with experience of other industries to give them nuclear skills." 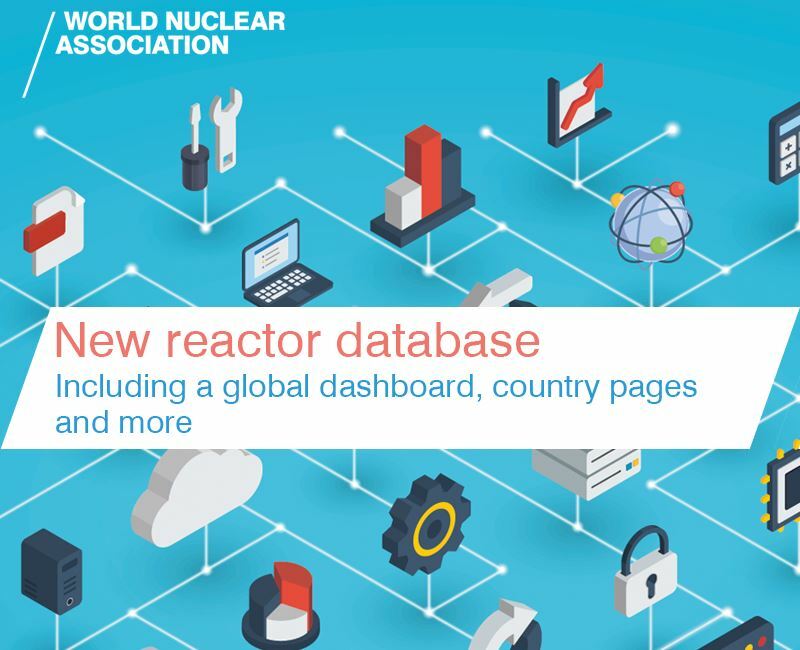 Completing the UK regulatory process lends international appeal to a project, McGoff told World Nuclear News, by "adding value to your design and giving greater levels of confidence". He added: "The UK regulatory system is recognised as one of the best in the world and I think it does give the opportunity to take that [expertise] outside. And I think that's part of the reason why we've seen such interest in GDA." Asked if a Requesting Party with a reactor design that is already in operation has an advantage in the GDA process, McGoff said: "I believe they do, the reason being that they will know much more of the evidence to support their design and that makes producing submissions that demonstrate the design can achieve the safety, security and environmental claims that are required so much easier because the evidence should be there." He added: "But even then, the UK will ask more questions to illustrate if somebody said, 'We have a rule in our [national] regulatory regime which means that we have achieved this tick in the box', we will say, 'That’s really interesting, but is that rule correct?' We're not saying it's wrong; it's not for us to challenge other regulators, but is that rule right? You need to convince yourself that the rule is OK. And that helps to produce a much more intelligent dialogue than simple compliance with a rule." National Grid is also waiting for EDF to reach a FID, said its head of major infrastructure development, Sue Adam. EDF Energy was granted a Development Consent Order for a new nuclear power station at Hinkley Point early this year. "People want to know when construction will start [at HPC]," Adam told delegates. "We're currently at low-level engagement. Until we get the news of EDF's FID we're staying quite quiet. Once we've got EDF's FID, we know what our program is and we'll align it and then we’ll be able to go out and start re-engaging with the community in order to explain what our construction activities are going to look like. "Construction of this connection isn't going to happen all at the same time. We'll interact with Western Power Distribution. We have a sequential nature to the works, so therefore we'll be able to make our activities in the shorter term, while other activities will not happen for a number of years." The Hinkley Connection project will involve a National Grid 400kV network, consisting of: a 56km connection (49km overhead and 8km underground); two substations and a sealing end compound; upgrading and re-configuring Western Power Distribution's 132kV network; removing 67km of overhead line; laying 10km underground; and making modifications to the existing network. The project will introduce the new T-pylon design to the grid, she said, adding that HPC will require 116 T-pylons. For the other two new build plans, she said proposals are being developed for formal consultation for the North Wales Connection project, connecting Wylfa Newydd - including a 40km connection beneath Menai Strait, and the North West Coast Connections project, connecting Moorside - including a 142km connection with a 22km tunnel under Morecambe Bay. All three of the new nuclear build project owners aim to develop a supply chain that enables 60% of the construction value to be delivered by UK companies. EDF Energy has selected preferred bidders for work on HPC, which include, for example, Balfour Beatty Bailey, Laing O'Rourke, Premier Interlink WACO UK Ltd, ABB UK, Schneider Electric and Clyde Union. Hitachi Nuclear Energy Europe, which began operations as Hitachi's UK arm on 1 April, is "managing the knowledge transfer of Hitachi's experience from 23 BWR projects and combining this with UK expertise", said Shunsuke Utena, managing director of the subsidiary. Since 2012, Hitachi-GE has supported Horizon under a front end engineering design, or FEED, contract. Utena told the conference Horizon will soon enter into a Tier-1 joint venture, "forming a world class delivery team", with the first strategic Tier-2s likely to be selected soon afterwards. It expects to hold a supplier event this autumn. Terry Morgan, chairman of the new high-frequency, high-capacity railway for London and the South East, Crossrail, said: "I can't tell you just how important community engagement is. Ignore that detail at your peril." The £14.8 billion project consists of a new railway 118 km in length and 40 (ten new) stations to deliver 24 trains per hour, making 200 million journeys per year. It will be "leaving a skills legacy", Morgan said. As of April this year, the project included 16,543 apprentices, 14,000 people employed on the project and 4398 jobs for local people. Some 63% of spending on the project will go to small- and medium-sized businesses outside London, he added. EDF Energy has invested more than £11 million in the local area around Hinkley, including training and education. David Eccles, head of communications for the HPC project, told delegates the consultation process - which started in October 2008 - had "gone on for longer than any of us would have wanted, but one of the advantages of this long engagement is that those people with whom we were talking during the consultation phase are now the people we are working with to deliver the project in a local sense". He added: "Local stakeholders, whether they are business organisations, businesses themselves, local authorities, we've been working with them over the duration of this consultation, getting their thoughts and feedback, adjusting our plans, and, in the light of that feedback, continuing to work with them." The company also "talks to its neighbours" immediately adjacent to the site, Eccles said, "about the issues that concern them - traffic, noise, dust, light - and we talk to the broader community about the implications of the project on their lives and the way that they are going to be necessarily disrupted." He added: "But equally there are lots of opportunities for them and we discuss those in what we call community forums, to which bodies like Stop Hinkley and others are also invited." "The face-to-face stuff is really important", he said. "You can do a huge amount by social media and through our website, but it's actually getting out there, living in the community, having our team based in the community, and engaging with them on a day-to-day basis, not just in a HPC context, but in the broader context of being members of that community from a social, leisure and every other point of view. By doing that, and embedding ourselves, and using these mechanisms, we keep the communication going." Proof of this, he said, is a national survey that asked, 'To what extent do you think that nuclear should be part of the energy mix in the future and nationally?'. "The answer to that question is about 55%. Immediately around Hinkley and up to about 12-15 miles away, the response is 65%. That demonstrates that local people understand the opportunities presented in terms of skills and employment and business because of this engagement." One of the biggest potential benefits of the HPC project, he said, lies with the supply chain. "We're working very closely with our Tier 1s to involve UK business and in particular those in the South West. At the end of last year we announced £225 million of contracts at the preferred bidder stage for local companies. In addition, we have a direct contractual relationship with a number of Tier 3 providers." Local companies supporting the HPC site itself include, for example, Somerset Larder, which provides catering services using locally produced food and drink. This is a local joint venture that the project was "the catalyst to create", Eccles said. Similarly, the project requires 600,000 steel embedment plates to fix all the reinforcement steel bars. "We've gone to the steel fabricators in and around Somerset, they've got together to form a joint venture and they are bidding for a portion of that steel fabrication contract." He added: "When people see this is touching their lives and bringing benefits to them, then they are naturally predisposed towards the project." HPC will require, he said, "160 Tier 1 contractors, all the subsidiary activity beneath that and then all the logistics supply chain beneath that". EDF Energy is working with Somerset Chamber of Commerce and other business organisations to support companies "to enable them to get to the standard, whether by entering the South West area's Fit for Nuclear program, or other schemes, so that they can compete effectively for contracts". The company is also working with central government "to be able to provide the funds whereby business support is in place in order to maximise the opportunity". The level of unemployment in Somerset is less than 2%, he said. "So the challenge now is how do we engage local skills providers, local businesses who are inevitably going to lose staff to the Hinkley project as they get sucked into its vortex?" One of the company's solutions for this is its Inspire program through which it engages with education establishments. The program has had more than 100,000 "student engagements" in the last four years - to stimulate interest in science, technology, engineering and mathematics (STEM subjects). "Four years ago Bridgewater College had 75 engineering apprentices. This academic year they have 520. That's not entirely down to us, but a large part of it is stimulated by giving young people this focus on the STEM subjects," Eccles said. "The idea of a Silicon Valley may be fanciful, but nonetheless our legacy should be a real culture and a capacity within the local area whereby young people can move into these skills which will in turn attract businesses to come or to remain in the South West because they know the workforce is available for them. That's our real legacy and our real ambition."